The Dragon Balls - miso! The almighty dragon capable of granting any wish you desire. What would you wish for? Essential to the franchise itself, the Dragon Balls also play a part in Dragon Ball FighterZ. 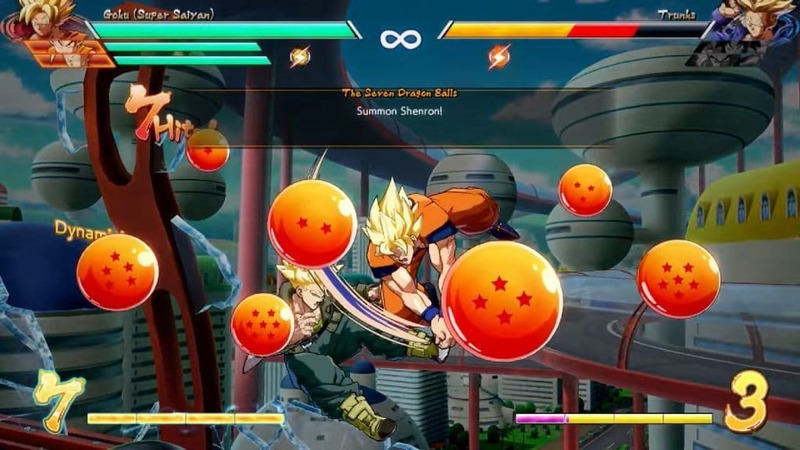 Upon gathering all 7 Dragon Balls in combat, either player can activate them by performing a light auto-combo. 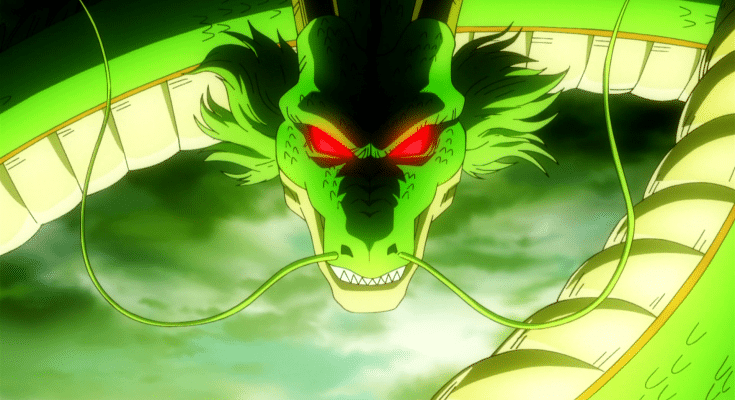 Summoning Shenron is an impressive albeit unlikely feat. Both players can use the Dragon Balls, so once they’ve been achieved, it’s a race to summon Shenron first. 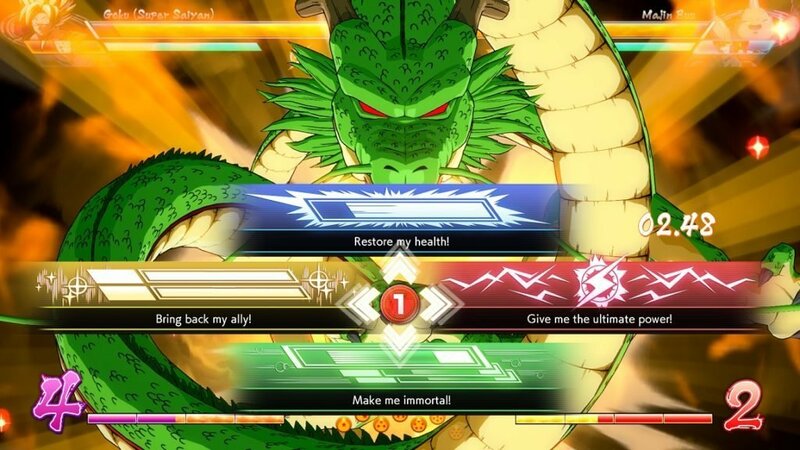 In order to summon Shenron, a player must have 7 bars of Ki and must perform a light auto-combo. After summoning Shenron, the player will be offered four wishes, one of which will be granted. A timer lasting 5 seconds is triggered, so choose quickly! Each wish is as powerful as the next, although their effectivity depends on the player’s situation. If you’re on your last character, having another Sparking Blast (Give me the ultimate power!) or having boosted health regeneration may not be the best wish. Equally, bringing back one of your allies is not an option whilst all your team members are alive. Restore my health! – Increases the user’s health regeneration. Bring back my ally! – Revive a fallen ally to aid you in combat once more. Give me the ultimate power! – Receive another Sparking Blast to turn the tables on your foe. Make me immortal! – Receive immortality.